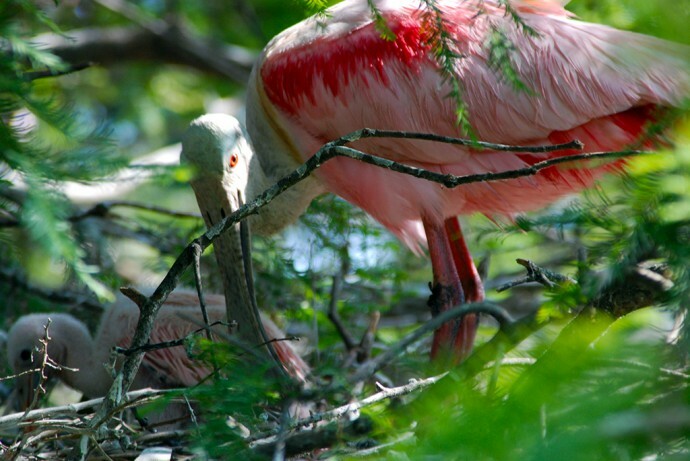 Roseate spoonbill | Florida Hikes! There’s no mistaking the roseate spoonbill, with its bright pink plumage and distinctive shovel-shaped beak. Usually seen in pairs or large groups, they feed on mud flats in both estuarine and freshwater habitats.